If your REALTOR website was built prior to say, 3 years ago, chances are your website isn’t mobile-friendly. In other words, when your website is viewed on a phone or tablet device, the layout looks rough, the navigation is cumbersome, or, worse, the site doesn’t function at all. This wouldn’t be so alarming if it weren’t for the fact that 89% of homebuyers use a mobile site in their search, according to the National Association of REALTORS. Furthermore, a Google study found that 79% of mobile users will visit another site if they find a website too difficult to use on their device. This means you may be losing customers and not even know it if your website isn’t optimized for mobile viewing. If you’re in this boat, don’t despair. There is hope! And it doesn’t have to cost you an arm and a leg to get your website caught up with the times. AMPED creativ can help! As the newest member of the NORMLS Preferred Providers Program, we are offering NORMLS members top-performing websites starting at just $499. That’s a 50% discount of our regular packages! 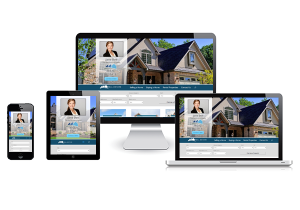 Our REALTOR websites offer a seamless desktop and mobile experience, making it easier for you to attract prospective clients and engage with them once they are on your site. Want to see a mobile-friendly demo? Visit us at www.AMPEDcreativ.com/REALTOR on your desktop or mobile device to see a sample website in action. Do you have your .REALTOR domain? With the recent rollout of the .REALTOR domains, it may be the perfect time to reevaluate your total web presence. Are you maximizing all of the tools out there to help build and strengthen your business? We can help navigate you through this process, so that you don’t have to mess with the headache or hassle of figuring it out on your own. If you would like a free analysis of your website, let’s start a conversation. Fill out the form below or contact us today at 216-245-9070.